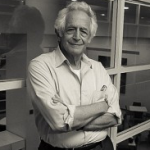 Richard J. Bernstein is a long time Democracy & Diversity Institute Professor and an American philosopher who teaches at The New School for Social Research, and has written extensively about a broad array of issues and philosophical traditions including Classical American Pragmatism, Neopragmatism, Critical Theory, Deconstruction, Social Philosophy, Political Philosophy, and Hermeneutics. His work is best known for the way in which it examines the intersections between different philosophical schools and traditions, bringing together thinkers and philosophical insights that would otherwise remain separated by the analytic/continental divide in 20th century philosophy. The pragmatic and dialogical ethos that pervades his works has also been displayed in a number of philosophical exchanges with other contemporary thinkers like Hannah Arendt, Jürgen Habermas, Richard Rorty, Hans-Georg Gadamer, Jacques Derrida, Agnes Heller, and Charles Taylor. Bernstein is an engaged public intellectual concerned not only with the specialized debates of academic philosophy, but also with the larger issues that touch upon social, political, and cultural aspects of contemporary life. 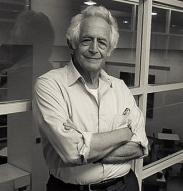 Throughout his life Bernstein has actively endorsed a number of social causes and has been involved in movements of participatory democracy, upholding some of the cardinal virtues of the American pragmatist tradition, including a commitment to fallibilism, engaged pluralism, and the nurturing of critical communities. 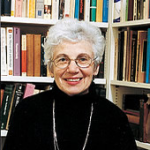 Carol Bernstein (PhD, Yale) specializes in Romantic and Victorian literature and literary theory. Her published works include books on the poetry of George Meredith and the Victorian urban novel. 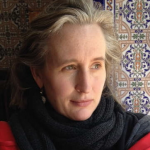 Her articles reflect her interests in the connections between literature, philosophy and psychoanalysis, as well as contemporary critical theory. Her current research focuses on Walter Benjamin, as well as cultural memory. American philosopher, Chair of the Department of Philosophy, and Co-Chair of the Gender and Sexuality Studies program at The New School for Social Research in New York City. 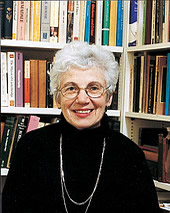 She is well known for her numerous scholarly works on the moral dimension of language, as well as edited collections on Wittgenstein, Cora Diamond, and Stanley Cavell. Crary is the author of two monographs on ethics, Beyond Moral Judgment (Harvard, 2007) and Inside Ethics: On the Demands of Moral Thought (Harvard, 2016). While still finishing her doctorate in philosophy at the University of Pittsburgh, she co-edited and wrote the introduction to the The New Wittgenstein, which continues to influence debates over Wittgenstein’s philosophy. 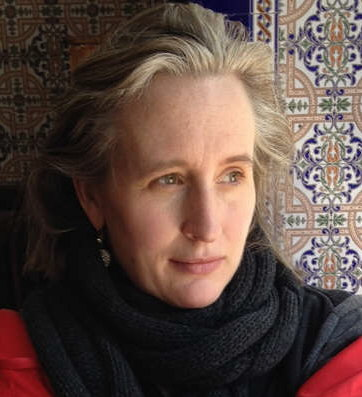 Currently Associate Professor of Philosophy at The New School for Social Research, she has been a Humboldt Foundation Scholar in 2009–10 at Goethe University in Frankfurt, a Rockefeller Fellow in 2003–4 at Princeton University, and has been an invited speaker at such venues as the Society of Fellows in the Humanities at Columbia University, the Center for Philosophy, Art, and Literature at Duke University, and Brooklyn Public Philosophers in NYC. 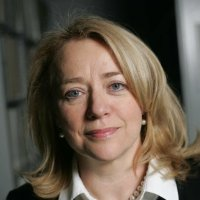 Elzbieta Matynia is Professor of Sociology and Liberal Studies, and director of the Transregional Center for Democratic Studies. Her research in political and cultural sociology focuses on democratic transformations, gender and democracy, the borderlands of a shared Europe, and more recently on the challenges faced by democracies emerging with a legacy of violence. As director of TCDS, she has developed and directs international Democracy & Diversity Institutes for rigorous study and cross-cultural research on the critical issues facing today’s world. Her book Performative Democracy (2009, Paradigm), explores a potential in political life that easily escapes theorists: the indigenously inspired enacting of democracy by citizens. Challenges following 1989 are explored in her An Uncanny Era. Conversations between Adam Michnik and Vaclav Havel. (2013 Yale University Press). A Fulbright research scholar in South Africa, she is working on a new book, Democracy After Violence. Elzbieta is a member of the editorial board of Social Research.